In barely a year since its launch in 1968, Fortune Promoseven, founded by Akram Miknas and six more partners, faced a problem that exists in the business even today – the one bad client. In the case of Fortune Promoseven, that meant confronting near bankruptcy. The startup culture then not being what it is today, Mr Miknas had a choice to make –– keep the fight going or fold up and pursue another path. There are two characteristics that have guided much of what Mr Miknas does –– taking risks and not taking no for an answer. The 21-yr old entrepreneur raised monies to pay out his partners, and he chose to keep the company going. Had he not done this then, this story would be very different now. Becoming an entrepreneur was more of a happy accident for Mr Miknas than a planned course of action. “I had been working since I was in university and I was looking for a job. 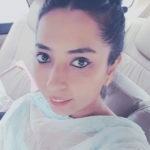 Many of my friends knew that I was working for exhibitions or university brochures, and I was studying business administration with marketing as a subject. We came together and it really started with them supporting me by making a small company called Promotion Seven. We were seven partners and the idea was to do promotions rather than advertising at the time,” says Mr Miknas. His persistence and sheer interest in the marketing industry kept the company going. But not even six years had passed, and another graver challenge presented itself. In April 1975, the Lebanese civil war, that would go on to last for another 15 years, began in the country. “People were killing each other, much like they are doing now, sometimes in name of religion and sometimes ethnic groups. In either case, I was not going to kill anyone. I had to make the decision to leave Lebanon, and I had to it with about 500 dollars in my pocket,” Mr Miknas recalls. The road taking him away from home led to Dubai, where he came and started an agency. No matter how one argues, this was a high risk that he had to take. 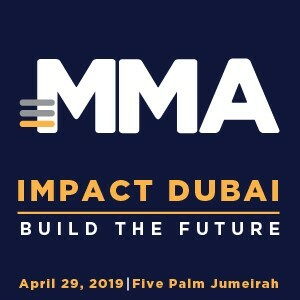 In hindsight though, it also became the move that created what is now Middle East Communication Network (MCN), the largest marketing and communication group in the Arab world. Over the next decade and a half, MCN began winning multinational businesses such as Cathay Pacific, The Coca-Cola Company and Dubai Duty Free that are in its client roster even today. It also expanded its footprint across the region to include Saudi Arabia and Egypt in its fold. The agency’s entry into Bahrain, which is now Mr Miknas’ home, also happened in this period. 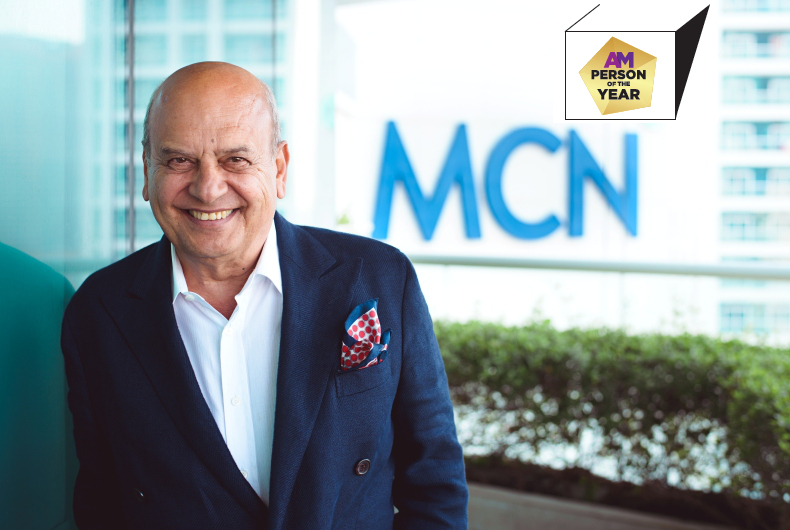 Truly becoming a ‘network’, MCN was adding more disciplines and creating newer kinds of solutions for marketers in the region. But more could be done, or at least that was what Mr Miknas believed. In 1988, he formed Promoseven Holdings and was named Chairman of the company. “We had created this company since we had started buying studios and other related businesses that were not directly into advertising, like Film House in Bahrain,” Mr Miknas informs. In this period, the agency also established its partnership with McCann Worldgroup, the leading creative brand from the Interpublic Group (IPG). This injected international experience and best practices into its offer, and the merit was evident soon enough. MCN agencies grew further, and upped the quality of the offer by introducing the likes of strategic planning to the region. In 2008, IPG went on to acquire 51 percent stake in the company, becoming a full time partner. This led to more IPG brands coming to Middle East & North Africa (MENA) not only strengthening MCN but signaling MENA’s importance as a region for the holding company. The marketing and advertising discipline was his forte but the risk taker in Mr Miknas had no intention to slowdown. In early 2000, he branched into the hospitality business and managed and built several hotels and outlets in Bahrain. His success in this business was crowned by becoming the franchisee of McDonald’s in Lebanon, where he built the business from seven restaurants to 26 restaurants in five years. As a man who was constantly reinventing himself, Mr Miknas’ business interests expanded to newer disciplines. His legacy also extended to the world of arts. He was lauded ‘Patrons of the Arts 2013’ at the Sheikh Mohammed Bin Rashid Al Maktoum Patrons of the Arts award in May 2013. 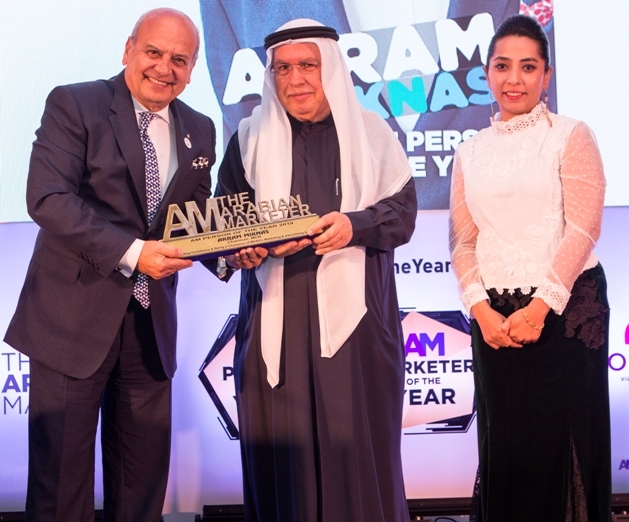 This award was for his contribution to the arts and culture scene in Dubai –– honoring the Dubai Moving Image Museum –– created and developed by Mr Miknas. Sectors such as real estate captured his interest but advertising remained his first love. In an earlier conversation with Arabian Marketer, Mr Miknas confessed that a pitch call even today gives him an adrenaline rush. The year 2017 was tough year for the agency, as it was for the industry, but it had geared up to brave the challenges. “The biggest challenge we’ve faced last year was budget cuts by almost all clients,” Mr Miknas informs. One of the steps that the organization took to address this was to make it clean and efficient. “In good times, organizations can afford the luxury of more staff than required, mainly to re-train and prepare for future growth. So, the company decided to curb this activity and put more effort into keeping our special talents in the company more focused and more interested,” he explains. MCN also enhanced its digital capabilities in quality and quantity. The agency canvassed for new business aggressively and added the likes of Saudi Telecom Company, Coty, Pinar, Subway, Uber and Beesline to its roster. “We obtained a great new number of accounts making up for the loss of revenue that was caused by budget cuts,” Mr Miknas states. Mr Miknas makes no qualms that 2018 will be as tough if not tougher than its predecessor. The only way to grow would be to keep the eyes on the prize in new businesses and identify untapped business opportunities. “The core 2018 objective for us is to consolidate our businesses. We will achieve this by closely monitoring the pulse of the market. We believe that in difficult markets, there are always big opportunities. Our focus will be to take advantage and make sure that we lead in grabbing these opportunities. Also, we will continue to grow and enhance our digital capabilities at all levels,” he explains. There is much that a person can learn, and unlearn, in 50-year journey. But this is one question that Mr Miknas does not really have to offer on. “All kinds of things have happened in the last 50 years – happy things, very happy things, sad things and very sad things. But I am not a man who regrets. I have not given myself a reason that I go back again and think I should have done it this way or that way. I am a realist,” he says. He adds that the one thing that these 50 years have left him with is a sense of no fear. “I’ve never taken no for an answer and always persisted to reach my targets. This has never failed me and at the end, I always succeeded. No matter how hard the fall is, I knew that my comeback will be more powerful, and I will achieve more when I stand back on my feet,” he sums up.